U.S. 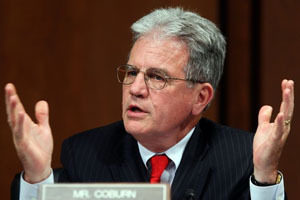 Senators and doctors Tom Coburn, M.D. 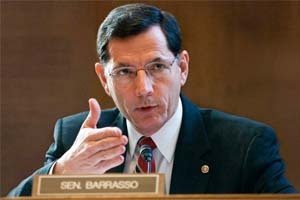 (R-OK) and John Barrasso, M.D. (R-WY) Tuesday released a new report entitled, “Prognosis: Outlook Not So Good” chronicling the scope of Obamacare’s failures and challenges. The report details what senators and doctors got right and wrong about predictions they made in three previous oversight reports. “For millions of Americans, Obamacare itself has become a pre-existing condition that has limited their access to quality, affordable health care. As we warned in our previous reports, Obamacare is fundamentally flawed. The law strengthens the hand of government and weakens the hand of doctors and patients. 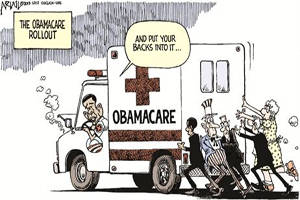 Obamacare is cutting choices, not costs, and costs will likely continue to rise,” Dr. Coburn said. This entry was posted in National on April 2, 2014 by admin.